Turnage and D’Addario at the 2016 meeting of the NC Literary and Historical Association. the North Carolina Literary and Historical Association has administered this award to a North Carolinian for the best example of juvenile literature published in the previous year. AAUW NC Co-President Jean D’Addario presented the award to Ms. Turnage in November. Additional copies will be available for purchase as part of the meeting registration. Ms. Turnage will join us for part of the meeting. New York Times Bestselling author Sheila Turnage (www.sheilaturnage.com) is from eastern North Carolina, just like Miss Moses LoBeau, the narrator of Three Times Lucky and the other Mo and Dale Mysteries. Sheila’s first novel for children, Three Times Lucky, is a Newbery Honor winner, a New York Times bestseller, an E.B. White Read-Aloud Honor Book, and an Edgar Award finalist. The series’ second book, The Ghosts of Tupelo Landing, also a New York Times bestseller, is a SIBA Okra Winter 14 pick and a Junior Library Guild selection. It’s been nominated for several state awards including The Texas Bluebonnet Award (Texas Library Association), and was chosen to represent NC at the National Book Festival in 2014. 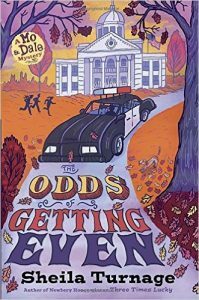 The Odds of Getting Even – the third of the Mo and Dale Mysteries – is both a Junior Library Guild selection and a Scholastic Book Club Selection. It was named to several Best Books of the Year lists in 2015, and in 2016 became the recipient of the AAUW NC’s Juvenile Literature Award. 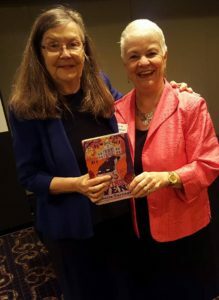 Sheila Turnage, a graduate of East Carolina University, is also the author of two adult nonfiction titles and a picture book, Trout the Magnificent, illustrated by Janet Stevens.